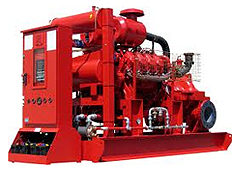 Fire pumps are often a forgotten element of an automatic fire protection system. If a fire pump does not work, the entire system may fail. Stringent inspection and testing requirements are intended to prevent a pump failure that could be catastrophic. Our expert installation, inspection and service capabilities include the tools and manpower to support any fire pump in operation. All functions of the fire pump controller should also be tested at least annually. After the tests are completed, you will get a test report describing which tests were conducted and settings of all time delay devices. The report will include test results for operation of the pump, driver and controller. A trending comparison of year-by-year results can show early indication of problems before they are really serious. Please contact Fire Solutions NW Representative to get a free quote today!